Looking for a safer Tuna? You are here: Home / Featured Products of the Week / Looking for a safer Tuna? Are you pregnant and have been told that you shouldn’t eat tuna? Or maybe you just want a safer Tuna. Well, now you are in luck with Safe Catch! 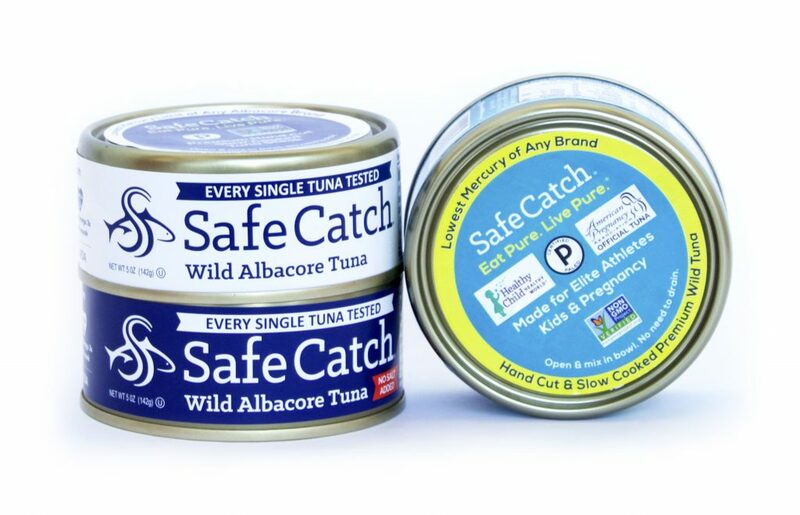 Safe Catch is the only canned tuna company that is actually able to test each and every fish (before they purchase them) to ensure that the mercury levels in their Elite Wild Tuna is 10 times lower than the FDA’s limit! This means that pregnant women and kids can now safely enjoy tuna every day if they want to!! That is a really great thing! I also received samples and I love the taste of this tuna! This pure tuna has the lowest mercury of any brand and individually tests each fish to ensure that the mercury content is 10x lower than FDA regulations. Not only is Safe Catch free of fillers or additives, it’s also non-GMO verified and sustainably caught so we can feel great about eating tuna again. I also really like that there is no salt added because I really don’t like to have extra salt in my food. It’s just pure Tuna! I am thrilled that it has the lowest Mercury of any brand and it tastes great too! Look for it at Safecatch.com.